Saturn trine Uranus natal brings a harmonious blend of change and stability in your life. You can work well within the rules and regulations, while still being able to enjoy personal freedoms and develop your own unique creative style. You can also experiment with traditional ways of doing things and gain respect for you innovations, without rocking the cart. Parents, teachers and then bosses, will trust you with a fair amount of responsibility while at the same time giving you the freedom to do it your own way. Duties that some would find tedious and boring, will keep up interest for you as you experiment with ingenious way to save time or increase productivity. This talent should see you sought out to start changes in the workplace. You would make a good superior or leader because you have the ability to make routine work interesting for others. You have a particular talent for working with groups and bringing together people from a variety of background and different skill sets. You can break down very complex systems to make them more easily understood. Most importantly, you can put all the pieces back together, in the same or better place. You would make a good teacher of technical subjects like engineering or computer technology, especially areas of study which combine many subjects, as in a holistic viewpoint. Government positions would also suit your original way of addressing multi-layers systems. When presented with changing circumstances in your life you cope very well in a calm and patient way. You are the steady hand in time of change and will be looked up to for this ability. You bring order out of chaos and should be really good at doing jigsaw puzzles. Transiting Saturn trine Uranus represents a transition phase in life. This is the ideal time to make positive changes in your life because they should run smoothly. Change will not be upsetting or erratic as it sometimes can. You will stay calm and patient, planning every step methodically. This is also a good time for experimentation and creative self-expression. You can find new ways of doing old things without rocking the boat. You could take the lead in your career to start needed changes and gain respect and recognition from your boss. You may be given more responsibility but also be allowed enough freedom to tackle the work in your own way. You can break down complex tasks into ordered segments to effectively instruct others. You would do well at learning or teaching technical subjects. 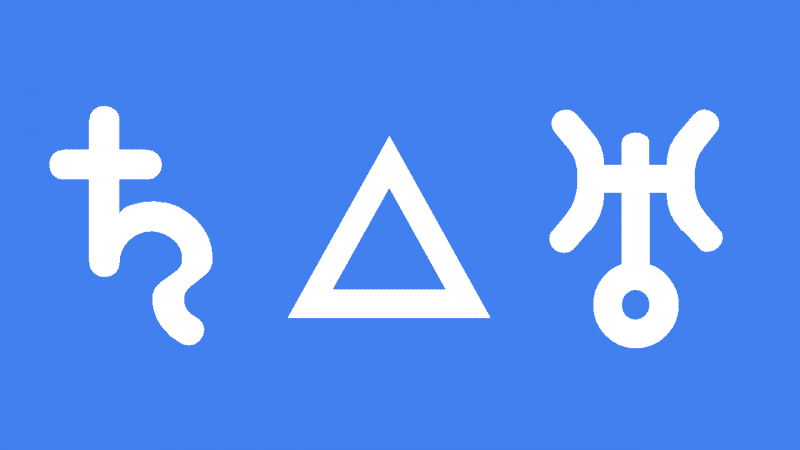 Even occult subjects like astrology would be more easily understood now. This is a good transit for group activity. You can bring people together from very different backgrounds and keep them interested in a common long-term goals. Joan Sutherland 0°06′, Alexander Fleming 0°07′, Tori Spelling 0°38′, Sir Jack Brabham 0°53′, Bob Fosse 0°54′, William Henry Ireland 1°11′, Tony Abbott 1°11′, Barbara Hutton 1°14′, Kevin Rudd 1°17′, Eminem 1°19′, Jon-Erik Hexum 1°20′, Fidel Castro 1°52′, Michelangelo 2°52′. Saturn will also be square to Chiron at that time. How will that impact things? Maybe it means exposing and healing of old or festering wounds ? Ok something good to look forward to..
transiting jupiter (11th house) sextile natal uranus. i have a uranus square jupiter (4th house) aspect in my natal so saturn is restricting that otherwise it looks amazing..
Nice article about this trine Jaime. I have it nataly too and this time Saturn will be conjunct my moon in sag. I am not afraid for this Saturn transit, but I can imagine Uranus will bring some air there, what do you think? Personally, I find it difficult to see positives with Uranus Saturn. I admit many brilliant, even geniuses are born in Aquarius. The amazingly accurate Frenchman Georges Muchery on Uranus: A sad and impetuous old man meditates. Cruel and selfish, filled with ideas of strength and power, the father of Saturn reflects on his lost virility, his wasted life, his moral and physical loneliness. A cruel despot. It brings good or bad, usually transitory. According to Idries Shah, a well know Sufi writing in the 1950’s60’s, Uranus is an evil magician who creates spectacular events to relieve boredom and distract us from finding our true selves (computers.devices.internet). Aquarius is a winter sign. Communism, Nazism, the new SJW’s are about suppressing the individual will (Leo) and molding it into a combined unit. All untruthful ideas that are transitory.That is the fruit of Uranus. There is no positive bent to Uranus. It must have some beneficial effect, yet to appear. The most important transit of 2017 is Saturn moving into Capricorn to meet up with Pluto. Shudder. the big ben Time. pluto do I want your time or your money. choices. We have an antigue store called Its About Time. So many interpretations. Time is money. But if I become clear that changes my journey or if we the mass. Pluto clears the decks. What if the wealthy barons give more time money realizing time is running out. We ve had so many fires and determination willingness to rebuild those structures. How bout that one. Earthquakes forecast. I have a trine between Uranus at 14 Leo and Saturn at 19 Sagitarius. So what do you think, Jamie? Shall I quietly rule the world with my creative Spirit? This trine occurs with Uranus conjunct my descendant and moving to square my natal Saturn at 28Cap, thus transit saturn is semisextile himself. Natal Uranus is 22Leo, so a wide quincunx Saturn at 28Cap…I really dont do Uranusor Mars transits that well, im quite a harmonious disposition so the dynamic influence of Uranus, especially through Aries, to relax and reduce anxiety has been a full time job, now with the Saturn affect, feeling tense is an understatement, its like I relax everything, next minute my shoulders are up under my ears and neck upper back is rock hard, feel like I imagine “Atlas” mustve felt…in all honesty I cant seem to find what to do to work with it, Saturn and Uranus are such a complete contradiction that in stressed aspect, its like the hare is taunting the tortoise and the tortoise just keeps stepping on his foot…confusing but ethically so…what the ? I have a natal Uranus-Saturn trine. I am surprised by how this energy is playing out this month. The story goes back 25 years to when I first met my friend K. At that time, she was a Unity minister. On May 19, 1992, she met a woman, C, at a retreat for women in the ministry. They became close friends and K was wondering about the possibility of forming a combined ministry with her friend C. She asked me to have a look at their natal charts and tell me what I thought. It was Halloween evening 1993 when I first looked at the charts. I was blown away by what I saw. Yes. Definitely, they were a team and would function well in a combined ministry. But what took my breath away was the way my natal chart fit into a pattern with theirs. My Cancer Ascendant is conjunct C’s Sun and K’s Moon. C’s Ascendant is conjunct my Moon and K’s Ascendant is conjunct my Sun. My North Node is conjunct K and C’s composite North Node. I was fascinated by the way we seemed to mirror each other’s energy, as well as by the precision with which the nodes aligned. I had a deep impression that there was a divine plan that we had all agreed to before birth with these two in a team ministry and me in the role of wayshower. This astonished me, as my friend, K, was an accomplished, successful, professional woman and I was a little ol’ nobody. I strongly encouraged K to join forces with C, but although K and C maintained a close friendship over the years, they each continued to lead separate career paths. In the years that K and I were friends, she left the Unity church, went back to school to study comparative religion, and became a Unitarian Universalist minister. As the years passed, I still felt convinced that K and C would one day form a team and that I was instrumental to their ministry. Even when K and I argued and stopped communicating, I still felt sure that one day our “great mission” would manifest. In recent years, this conviction has died away. It has been a long time since I’ve communicated with K. I feel resentful towards her, with absolutely no desire to rekindle our friendship. So, imagine my surprise when I received guidance instructing me to begin compiling information to send to K. I looked at her chart. How amazing! Transiting Pluto is now at 19 Capricorn, conjunct K’s natal North Node and opposite her natal Uranus at 19 Cancer, indicating a major transformation. In her Progressed chart, the Moon is opposite her natal Sun, indicating a time of culmination. And her Progressed Saturn is conjunct my natal Jupiter-Neptune. With her Progressed Saturn now conjunct my natal Neptune, it is time for her to bring form to my visions. This month’s Saturn-Uranus trine falls on May 19. K and C first met on May 19. According to Gary Goldschneider, May 19 is The Day of Heartfelt Persuasion: “May 19 people can well find inspiration in books or in works of art but until they meet a flesh-and-blood figure who takes an interest in them, they may be confused as to how they can best utilize their talents, or take their place in society.” Apparently, I am the flesh-and-blood figure who has taken an interest in K and C.
It looks like my job is to compile information for K and drop it into her lap so that she can make her discovery “by accident”!!! My guidance assures me that it is okay for me to feel angry with K. Indeed, it is necessary and helpful because otherwise I would allow her to dominate the relationship and that is not what is needed at this time. A fortunate thing is that K, born in 1954, has recently retired. She is no longer working for a pay check. That gives her freedom she did not have when we were close friends. After all these years, it is surprising to watch my vision from so long ago begin to take form. What do you wish to bring into the world? Do you have 20/20 vision? What will happen when Saturn conjuncts Pluto in 2020? Or would you prefer this one? I have a vision of a narrow path leading through the 2020 Saturn-Pluto shortages to a Golden Age for humanity. This is what the Uranus-Saturn trine means to me. For me, a pathway is a beautiful thing to see, but I don’t get the feeling that my visions resonate well with Jamie. A narrow path is not for everyone and pointing it out does not make one popular. I think it is time to say good-bye to Jamie so as not to let him drag my energy down. i grow weary and my fear is i will fall off. I was assured the bible sactions the narrow path. Saturn trine Uranus falls in my chart and my birthday is November 11. What does this mean for me? Since 2013 my world has been rough: emotionally, physically, psychologically, professionally, financially. Saturn travelling through Scorpio has been eye opening. There have been many transitions and changes and growth but it still seems there is crisis after crisis and very little peace. Will this start to clear the air towards a calmer season? @ Kate would love to hear a response as well. My birthday is 11/11/61. Your description sounds like my experiences for some years now. ???? Wow my birthday is on the 10th however I’ve been experiencing the similar since 2013. Was all set to go to an art gallery on the day Saturn trine natal Uranus was exact, then my friend called me the day before and said she would like to buy me a Tibetan astrology workshop for my birthday so my plans suddenly changed.